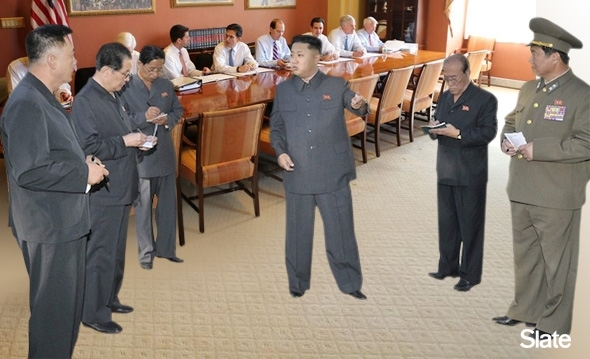 I enjoyed this little feature on Slate, making fun of North Korea’s supposedly notoriously bad Photoshop skills. This entry was posted in It's a joke!, Technology, The World on October 15, 2013 by Brad Warthen. 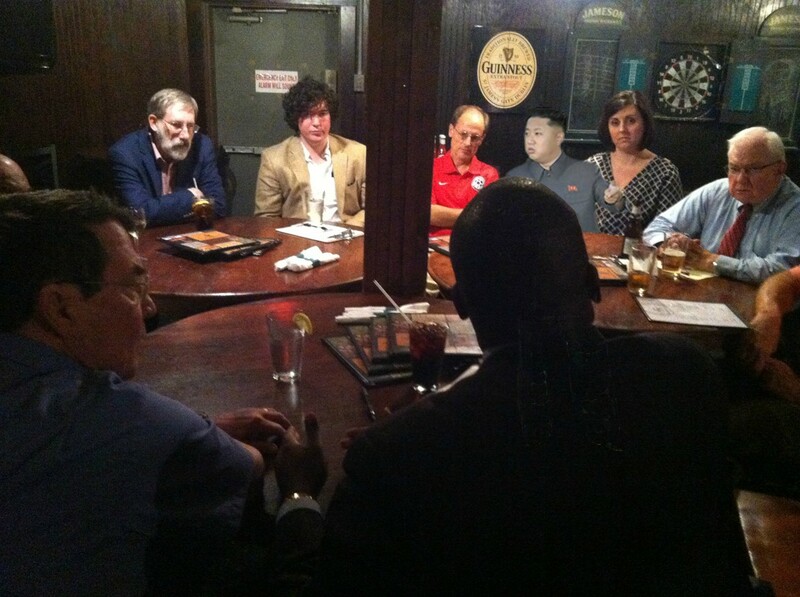 I wanted to Photoshop “Dear Leader” into your picture of the recent Jack Van Loan & Mayor Benjamin summit at Delaney’s, but I got lazy and didn’t do it. 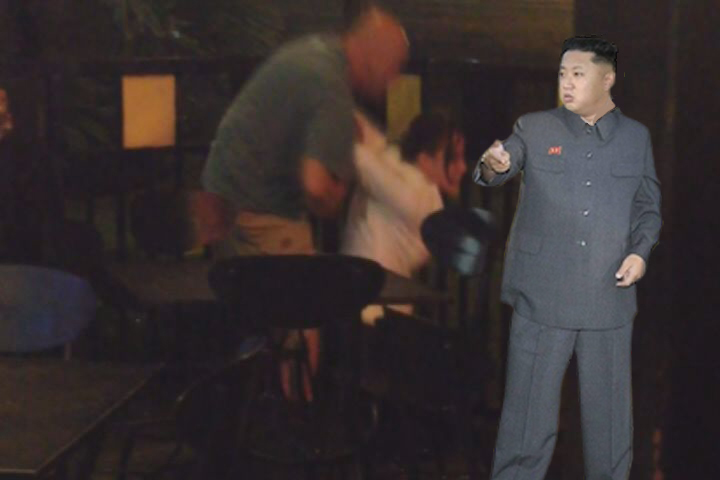 This is the best I can do with Microsoft Paint. Whoa! I’m gone! It’s like that photo from Back to the Future that Marty keeps looking at, where I get erased from existence! 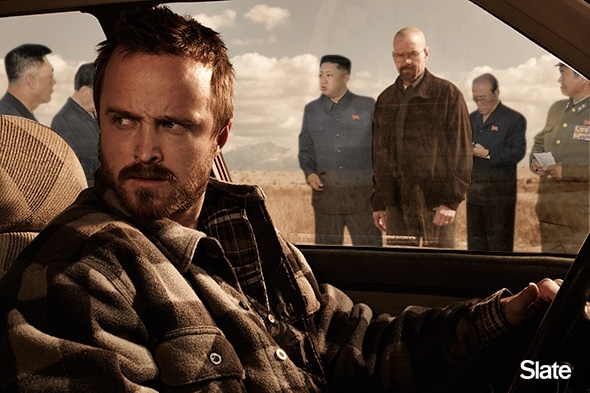 The “Breaking Bad” image would have been funnier with the cutline, “working out an international pharmaceutical agreement with a U.S.-based manufacturer.” Which would sound kosher enough to be funny — like something his propagandists would actually say.